Finance Minister Alexander Chikwanda will be in charge of Zambia for the next three days. 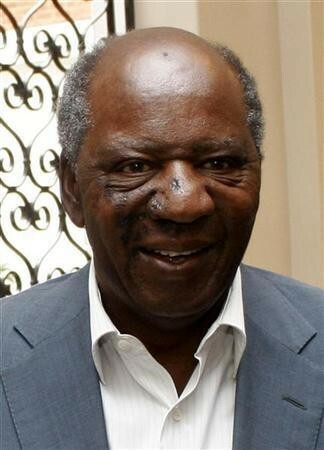 President Michael Sata left for Uganda Wednesday morning. Vice-president Guys Scott who should have acted as president is also out of the country. Though it is not written anywhere, practice has been that if both the president and vice-president are out, the Defence minister acts as president. The Defence minister is seen as number three in term of hierachy followed by either Home Affairs or Finance Minister. The president though can appoint any member of his cabinet to act. But this time even the defence minister Geoffrey Mwamba is out. He accompanied preisdent Sata. People in corridors of power have disclosed to the Watchdog that president Sata temporarily handed over limited power to Finance minister Alexander Chikwanda Wednesday morning. The temporary transfer of power was symbolised by defence chiefs saluting minister Chikwanda just before Sata left.